This was part of a competition for Glamour Kills apparel in 2011 when mintees/emptees and gigposters.com was still around. Not sure what the lesson here is, people will stop eating meat when pigs fly? Or perhaps we should cut back consumption before poor Chris. P Bacon loses his wings. I am conflicted with this picture, but I think that’s why it’s successful as an artwork. As usual, your execution is excellent :). 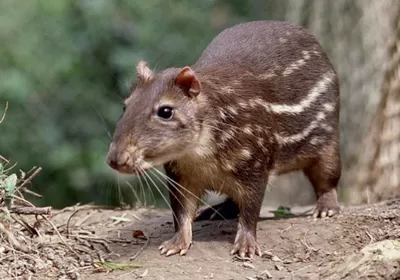 It's looks like another animal of Brazil, called Paca! I had no idea what that was but You're right, it kinda does, thanks! It's like a pig, but it is small and their nose are biggest than a pig. They're so weird looking, but kinda cute.